Stack 'em up with this 100-disc CD cake box from USDM! Features a clear plastic cover and a black base with integrated spindle. These 100-count cake boxes from USDM are ideal for safely storing your CD or DVD in a protective container. The smart design features a twist-lock cover that stays securely in place, even during transit. 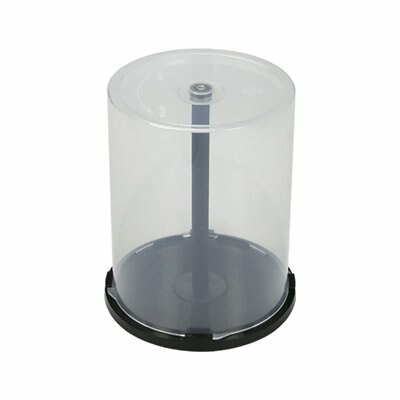 Protect your discs with the 100-disc cake box spindle from USDM!